Burke Hill is an agent with the Worldwide Communications Consultants (WCC). The WCC is a Washington-based CIA spin-off. Officially it is a legitimate international PR counselor helping companies wanting to do business overseas understand the vagaries of the many different countries on the planet. Unofficially it had a black ops group that took missions from the CIA, items the Agency would like done and like to be able to deny. With the series taking place during the early 90s when the Soviet Union was nearly finished and a great deal of attention was on the CIA, its desire to be caught with fingers in any sort of cookie jar was non-existent, hence the need for a company like WCC. Anyone looking into Hill's employment would find he was the Chief Financial Officer for WCC. Those inside the company and a few inside the Agency knew he was the director of that black-ops group responsible for planning and officiating any job the company agreed to do. This would normally mean that his place was in the office running the show from the safety of a desk. In the case of Hill, he might have agreed to this but he would also have quickly agreed to take to the field. He did not particularly enjoy the danger but he was good at surviving it. In the first recorded adventure, Hill was not yet an employee of WCC but his actions in the exciting and dangerous case depicted in that book would lead to his being offered the position in the new firm and wanting a change from his solitary lifestyle and realizing he missed the action, he accepted the job. Before then he had been a freelance photographer gaining a solid reputation for his wilderness pictures and stunning landscapes. For the previous five years he had roamed the forests of the Great Smokey Mountains living in a cabin and getting close to no one. Prior to that he had worked for almost a decade in the rugged oil fields of Alaska finding relief in his "self-imposed exile". The exile was from his previous life as an agent with the F.B.I. For ten-plus years after college he had served as an agent earning a reputation as a "cool professional, always on alert for the unexpected." He had gained enough of a record getting the job done that when J. Edgar Hoover, finally acknowledging the existance of the Mafia, decided the Bureau needed men inside the Mob. Hill was one of those chosen to go undercover and he, being a loyal team player agreed though it was certain to cost him his marriage. But the inner struggle with his conscience when he had to do bad things to be accepted by worse people proved too much. He backed out and returned to Headquarters. Unfortunately no one said no to Hoover and his career and his good name was ruined. So the exile to the oil fields and then the Mountains and finally back to Washington and a new life back in the danger. 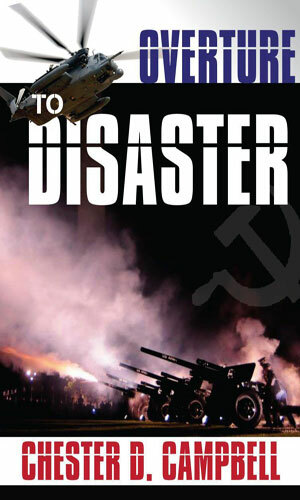 With the Cold War ending, both the KGB and the CIA have agents who do not want it to go away. 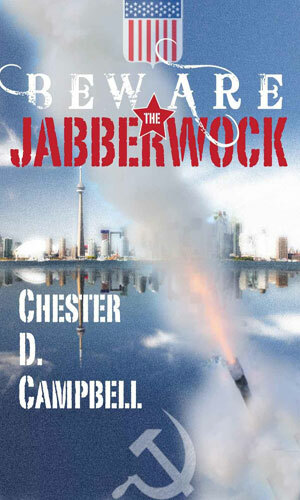 Operation Jabberwock is a plot to keep those in both agencies busy and needed. Burke Hill is asked by an old friend to look into things. 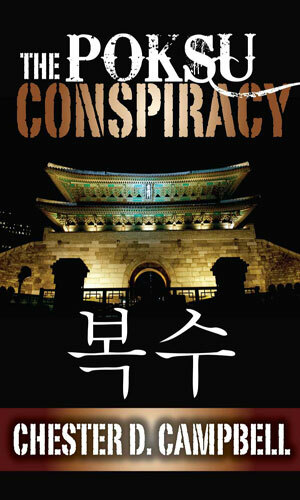 With a strong rumor floating around that the Israelis were helping South Korea develop nuclear weapons, Burke Hill is tasked with find the truth while many do not want it found. Soviet nerve gas has been stolen and it looks to be the means to put a would-be dictator in charge of several former Soviet republics. One charged with stopping it is Burke Hill. I did not know what to expect with a series whose first book had the Jabberwock in the title but it was on my list to read so I forged ahead. Darn glad I did, too. This is a solid entertaining series with interesting and realistic characters, especially the lead, Burke Hill, and some darned impressive plots. When I finished the first adventure there was no hesitation to starting the second and the same held true moving on to the third. If there had been a fourth, I'd have kept going. Based on the skill the author has demonstrated I was wishing I had time to check out his other two series, both detective ones, because I was certain I would be equally entertained. Well done, Mr. Campbell.